Start your week on a positive note by attending the Opening Night Gala of one of Europe’s most important short film festivals: the Interfilm. 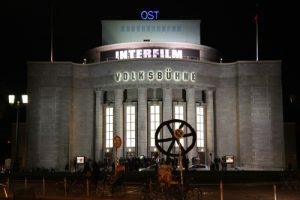 The opening ceremony of the week-long film festival will not only host international guests and Berlin celebrities, but will also show a selection of films and live music! Make sure to check out the daily program for the festival and make your pick. Mayadin Al-Tahrir and Berlin’s Werkstatt der Kulturen will be holding a panel discussion with the author Dr. Najat Abdullhaq and an FU professor Dr. Ahmed Badawi in honour of the launching the book “Jewish & Greek Communities in Egypt. Entrepreneurship & Business before Nasser”. The discussion’s main topics will be the socio-economic role played by the Jewish and Greek communities in Egypt from 1885-1960, their migration history and how it impacted Egypt. We all know and love the feeling of finally coming home after a long cold day and cuddling up on a cosy couch. That’s almost how Ataya Café feels like with its comfortable sofas, wooden tables, colourful covers and full shelves. The delicacies offered are all homemade, vegetarian (and vegan). 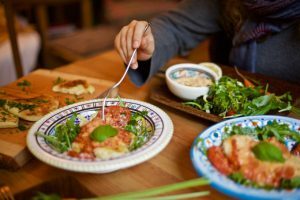 They range from pasta variations, to hummus and dips, to avocado salads. ►Thursday: The Politics of Form: What does Art know about Society? This two day conference investigates how aesthetics and contemporary art can be employed to depict, challenge and even change society. It further analyses the tasks of literature and the arts. The lectures and panel talks will cover a diverse range of topics such as: art and economics, documentary forms, aesthetics, representation and temporality, literature and sociology. Omer Fast is one of today’s most influential film and video artists. His works deal with the borders between personal narratives and collective, historical narratives as transmitted by the media and he questions the customs of storytelling. 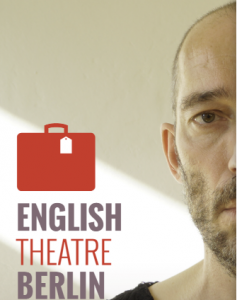 He narrates stories of trauma, war, religion and personal relationships. The fact that everything in his project is meticulously constructed and manipulated makes one questions its authenticity – despite, or even because of, how real it seems – keeping the audience always on guard in the trance of narrative space. Set in Berlin, the German Ulrich Leinz and Israeli Shlomo Lieberman don’t only face modern day’s obstacles as a homosexual couple. They are haunted by their ancestors’ memories. Specifically, Shlomo’s grandmother, who was an Auschwitz survivor and Ulrich’s German grandfather whose ghost clings to pain streaked love letters from 1943 Warsaw. What’s better than spending cold winter days inside with a cup of tea and your nose buried in a nice book?Buch Berlin (literally “book Berlin”)opens its doors for the third year to welcome you in a space dedicated to book lovers, authors, publishers, and of course countless books. Speak with the authors, attend any of the 80 lectures and readings, spend a day strolling through book stands or just choose a book and have some peaceful reading time in one of the cozy reading rooms available where drinks and a selection of food is provided.